Set amongst the scenic San Joaquin Hills and overlooking the Pacific Ocean, Laguna Beach is well known as a seaside resort and an artist community. This coastal area offers what are widely recognized as some of the most beautiful beaches in all of Southern California. 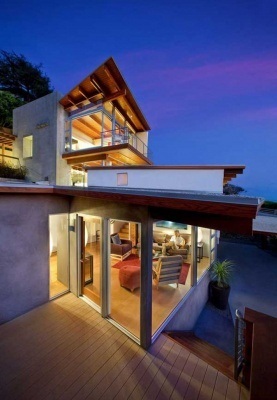 Laguna Beach real estate is comprised of a vast variety of homes for sale that includes condominiums, townhomes, cottages, single family homes, and income properties, many of which feature breathtaking ocean views and beach access. Charming Laguna Beach condominium, only a block from the Pacific Ocean. Coveted North Laguna Beach location convenient to restaurants, Main Beach, Heisler Park, 6 minute walk to grocery store and the Laguna Art Museum. Newly renovated with double pane windows, granite counter tops, travertine and new wide plank white oak floors! Positioned on the top/second floor (no one is above you) and the building offers a free washer and dryer utility room. Views, Views and Views! Turnkey ready. Rare opportunity to own a beauty located in an Upscale community. Great place if your looking to to retire in or maybe downsize. Oversize 600sqft porch is a great for entertaining and relaxing. Home has been kept very clean and newly painted. Turnkey ready. Complex features, pool, spa, clubhouse & much more. Close to freeways & Shopping. Rare opportunity. Don’t wait, this one wont last! As the second oldest city in Southern Orange County, the origin of the name of Laguna Beach dates back all the way back to when the Spanish controlled California. Laguna Canyon was originally known to the Spanish as "La Canada de Las Lagunas" which means "The Canyon of the Small Lakes." This was in reference to the two small lakes found at the beginning of Laguna Canyon. The most intriguing bit of history about Laguna Beach is that back during the time when California was divided off from Mexico, the area was actually considered to be completely worthless! Of course, many years later, Laguna Beach is now home to some of the most sought-after real estate in Orange County, including prime beachfront properties and spectacular ocean view estates for sale. The city of Laguna Beach features distinguished hotels and an amazing array of unique shops and stores. Residents can also enjoy visiting celebrated restaurants, world famous art galleries and fascinating art festivals. In addition, the only winery with a public tasting room in Orange County can be found in Laguna Beach, along with two independent wine shops. The area is so appealing that many movies and television shows have taken advantage of the amazing scenery of Laguna Beach and have been filmed on location here. Other wonderful attractions in this city are the Laguna Playhouse, which is the oldest continually running playhouse on the West Coast. The shows playing at Laguna Playhouse are truly a must see for theatre aficionados! The city of Laguna Beach also is home to the Laguna Art Museum, which is a popular showcase with the largest exhibition of Californian artists. In addition, residents can pay a visit to the renowned Pacific Marine Mammal Center, which is a rescue and rehabilitation center for marine wildlife. A trip to this facility is truly an educational and important visit for people of all ages. 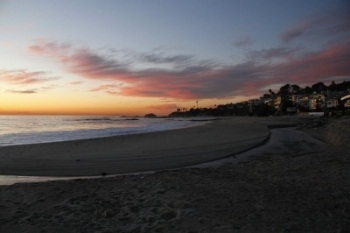 Laguna Beach enjoys hosting a rich abundance of outdoor activities. Interested parties can find outlets for such pastimes as kayaking, surfing, golfing, hiking, and even whale and dolphin watching in the Pacific Ocean. Locals and visitors can also enjoy a memorable three-hour trek through the Laguna Coast Wilderness Park. The beaches of Laguna Beach are some of the most scenic in Southern California. Visitors to these beach areas will note the presence of safety professionals who are trained for this kind of work. Laguna Beach's safety services at the beach are provided by the Laguna Beach City Lifeguards in the area of northern Laguna Beach. Heading down to the south, U.S. Ocean Safety Lifeguards provide coverage in south Laguna Beach. Straying from the beaten path on the sandy beaches, other residents are often very interested in checking out the amazing marine life teeming in the tide pools at Crystal Cove State Park, Shaw's Cove, or Treasure Island Park. Every kid should have that experience! Yes, Laguna Beach truly is a one of a kind city that encompasses all that Orange County beach living has to offer. Educational opportunities abound in Laguna Beach for both younger residents and adults. The city of Laguna Beach is served by the Laguna Beach Unified School District (or LBUSD) for public schools. There are two fine public elementary schools in Laguna Beach: El Morro Elementary and Top of the World Elementary. Families who would prefer a private school may also consider Saint Catherine of Siena Parish School, a Roman Catholic institution. Children who are old enough for middle school can attend either the public Thurston Middle School, or they may also opt for Saint Catherine of Siena, which offers middle school education as well. There is one public high school in the city, Laguna Beach High School, which is also administered by LBUSD. Additional private schools are available in adjoining communities for high school students. Parents of preschool-aged children will find that they have a variety of options in the Laguna Beach area, as well, including Montessori school and other private preschools. Adult learning is also well supported in the Laguna Beach community area. For private institutions, the Laguna College of Art and Design is located directly in Laguna Beach, while the beautiful Soka University of America offers both undergraduate and graduate programs nearby. The closest public university is the University of California at Irvine, which is also found within easy commuting distance and offers a broad array of undergraduate, graduate, and professional programs for interested residents. Community and adult education is regularly offered by the city and the LBUSD, providing instruction in computers, business, English as a Second Language, fine arts such as ceramics, and other interesting options. In another bonus for the citizens of the area, medical and health care in Laguna Beach is outstanding for a smaller beach community. The city is home to the Mission Hospital at Laguna Beach is a part of Orange County's excellent Saint Joseph's Health System. 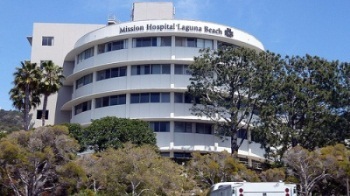 (Note: Mission Hospital - Laguna Beach was formerly known as South Coast Medical Center). The hospital covers the needs of the city as a 208-bed acute care facility. The Mission Hospital at Laguna Beach also provides services for the rest of southern Orange County's coastal communities. The hospital's impressive list of health care services includes a 24-hour emergency medical center, intensive and medical-surgical care, and rehabilitation services. In addition, the hospital offers behavioral health services and chemical dependency treatment. If you would like further information or assistance regarding Laguna Beach homes and available houses for sale throughout Laguna Beach, please contact our team!